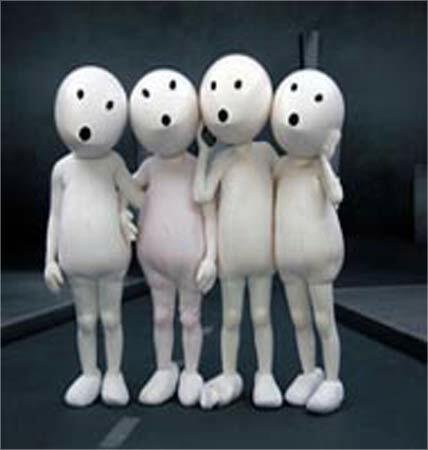 Rediff.com » Business » Vodafone 'Zoozoos' are actually humans! 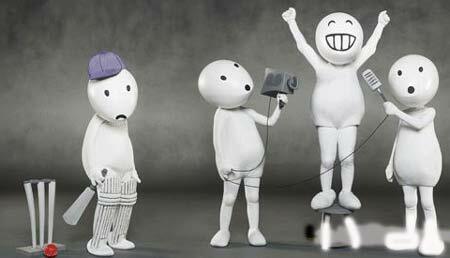 Vodafone 'Zoozoos' are actually humans! 'Zoozoos', a new innovative concept from mobile service provider Vodafone Essar is on its way to capture hearts of millions of viewers similar to that of 'Hutch dog'. 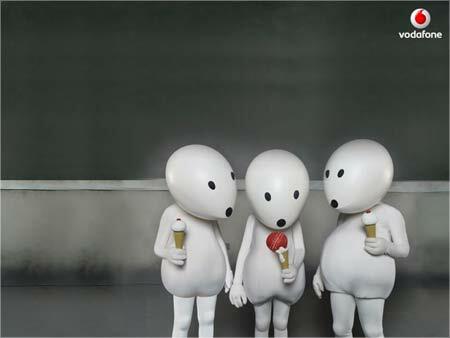 Zoozoos -- stick-like figures with an egg-like heads -- feature in the latest Vodafone Essar commercials that are aired during the Indian Premier League Twenty20 cricket series to promote different offerings and services provided by Vodafone to its customers. "We have been thinking about this concept since the last six months. As millions of people are glued to their television sets during IPL, we thought it was the right time to launch the concept," Vodafone Essar's director (marketing and new business) Harit Nagpal said. 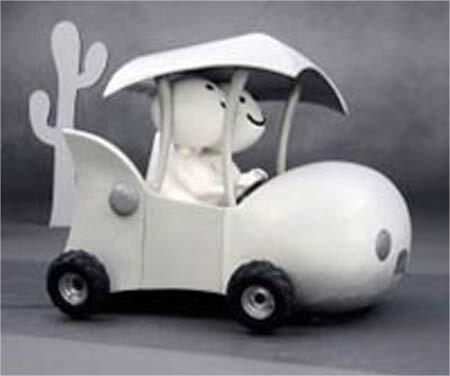 Image: 'Zoozoos', a new innovative concept from mobile service provider Vodafone Essar. The company plans to roll out 30 different commercials on similar lines which are 20-30 seconds long. "We have plans to air 30 different commercials featuring Zoozoos of which 15 are already introduced and the remaining will be introduced by the end of IPL. With these ads we are communicating as many services as possible through funny characters that behave like humans," Nagpal said. The Zoozoos are receiving a good response from audiences as they have captured the hearts of thousands of people on Facebook and YouTube. In reality, however, Zoozoos are actually slim women actors from local Mumbai theatres, dressed in white costumes to portray the characters. These costumes with enlarged headpieces rendered the actors practically blind as they could barely see where they are going. The characters were conceived and directed by executive creative director (South Asia) Rajiv Rao of Ogilvy and Mather and the ad is directed by Prakash Varma of Nirvana Films. "The entire shooting, editing and sound recording was done in Cape Town, South Africa in a short period of time by Ogilvy and Mather and was directed by Nirvana Films. We had a few problems and some funny moments as well while shooting the ads," Nagpal said. The entire shoot cost about Rs 3-crore (Rs 30 million) for the 30 different ads. Users can download images and wallpapers of Zoozoos. There is also a contest titled 'What kind of Zoozoo are you?' in which users can participate. Zoozoo merchandise like mugs, key chains, etc is on the anvil too. "We wanted to spread our message in a unique way. We are happy to see the response as everyone is talking about Zoozoos," Nagpal said.